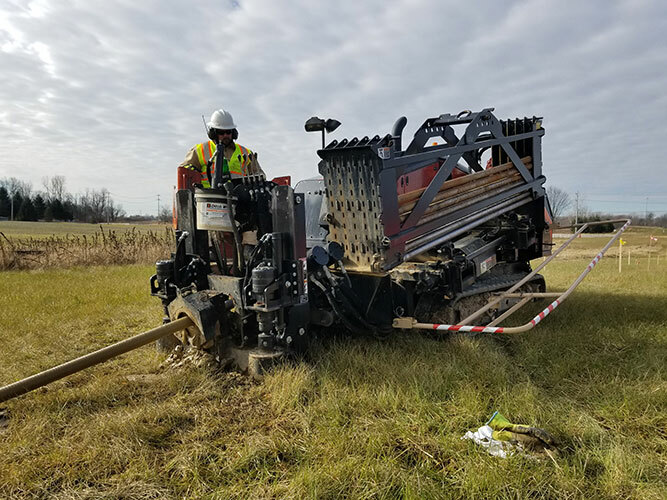 Directional Drilling - R&R Pipeline Inc.
A major related service to utility construction is the directional drilling of roadways, rivers, railroads, and environmentally sensitive areas. R&R Pipeline Inc. offers underground trenchless technology services ranging from residential water line replacement to commercial pipe installation. We handle a wide range of directional boring projects from solid rock bores to large scale boring jobs down to smaller residential projects. Where obstacles or surface restoration are an issue, our directional drill machines are capable of getting the job done. Want more information about directional-drilling?